Observed few additions to JSR286 Web Content Viewer portletas part of WP8 and seems following feature solves problems of some clientrequirements easily. a. Anotheruseful feature is “Relative path” content mapping . It will be useful if yourWCM information Architecture have repeated sitearea structure under same libraryor under the different libraries . 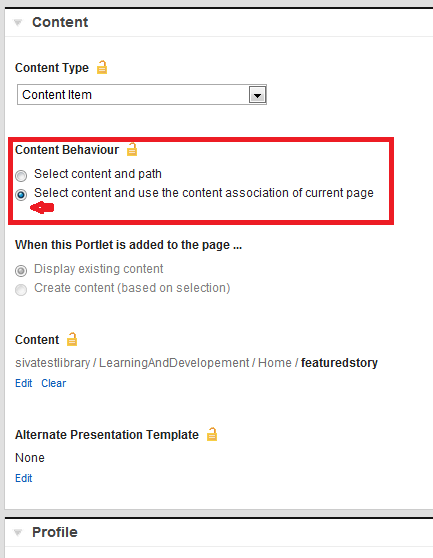 b. Assumeif you configure a webcontent viewer cloned portlet to display “Featured Story”from “LearningAndDevelopment Home” sitearea and if content path is like “sivatestlibrary/LearningAndDevelopment/Home/featuredstory” and place this portlet on the “L&D home” portal page (this page has mapping like“LearningAndDevelopment/Home”). c. Whenyou add above cloned portlet on the “HR Home” (this page has mapping like “sivatestlibrary/HR/Home” ) . 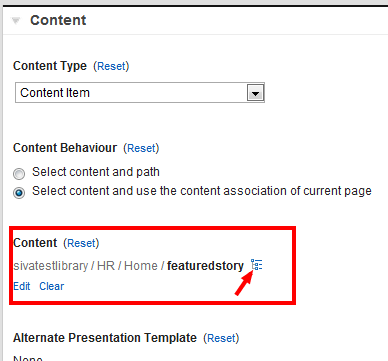 As the above content viewer is configured todisplay the relative path, when you access the HR home page , it renders the “featuredstory”content item from “sivatestlibrary/HR/Home /featuredstory “ . 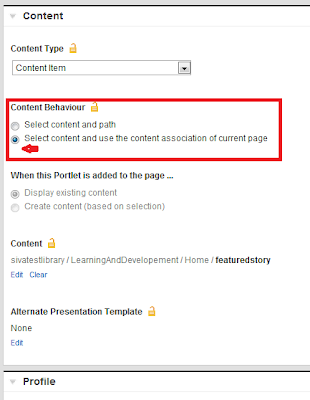 Fig: Once cloned portlet is placed on the HR Home page(“tree icon” indicates that content path derived relatively i.e(“/sivatestlibrary/HR/Home” is sitearea associated with HR Home page and“featuredstory” is content path from cloned web content viewer portlet ) .